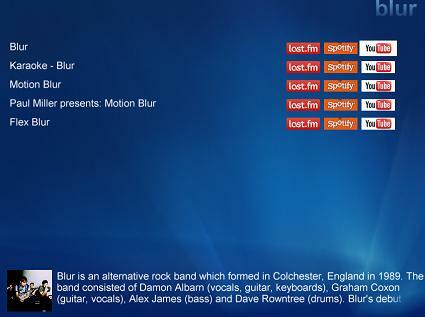 All you music fans out there obviously love the high quality audio streams in Songler from Last.fm and Spotify. Sometimes though it's nice to get the video too, so a new version of Songler is coming soon which integrates with YouTube for music videos too. When you search for a band, you will get the option to search YouTube for music with the name of the artist, bringing a selection of their videos.